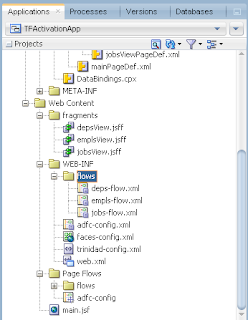 I will talk about tabs and ADF regions. Depending on the use case, you may want to ensure always only one region is loaded - the one which is displayed. If user opens another tab - region from previously open tab should be destroyed. 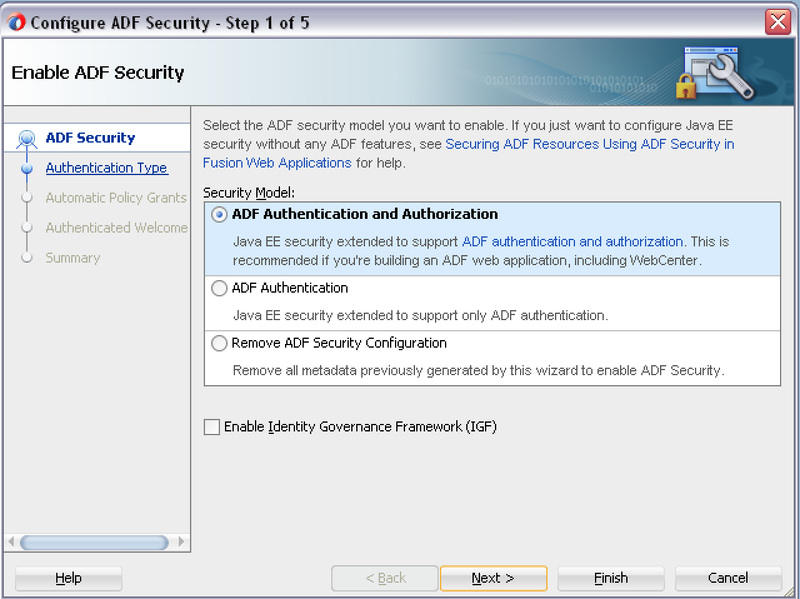 We can achieve such functionality with combination of conditional region activation and ADF task flow isolated scope. Every time when different tab will be opened - ADF will open referenced region as the first time, data will not be cached. 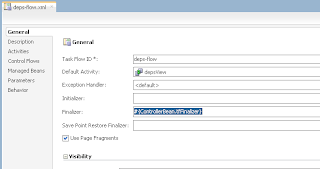 This approach could work as optimization for some of the use cases, when you don't want to hold data for the long time, when user is not working with the region from inactive tab. 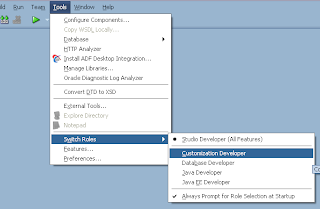 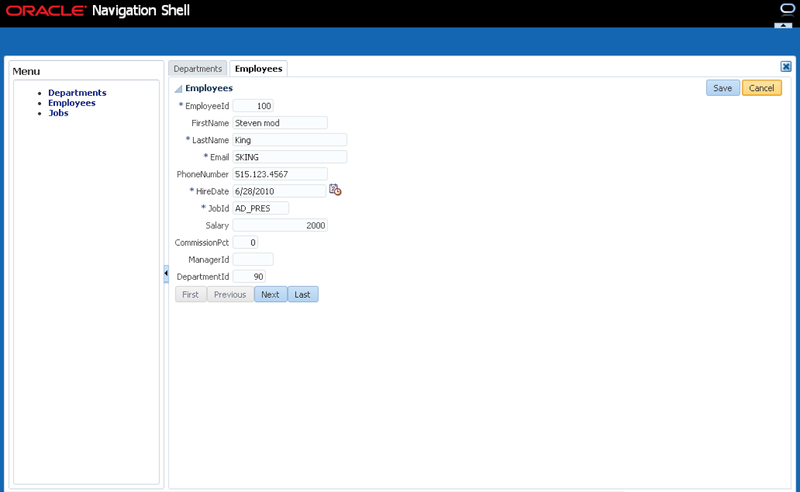 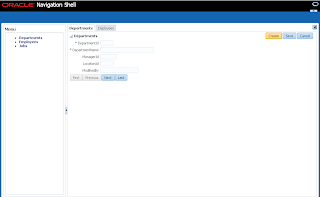 The main goal of this post is to describe how to enable multitasking functionality in out of the box UI Shell template for ADF applications. 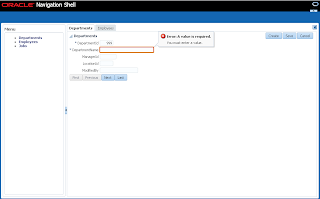 Different UI Shell tabs could run different transactions and allow user to commit/rollback data in the scope of individual tab. Every UI Shell tab runs different ADF task flow loaded from the menu. 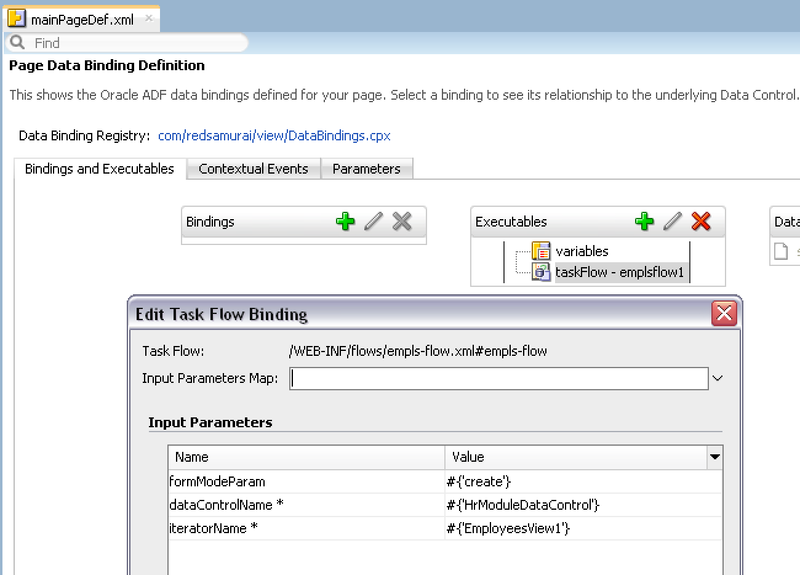 This is a key part to enable multitasking in UI Shell - make sure to use ADF isolated task flow loaded from the menu. 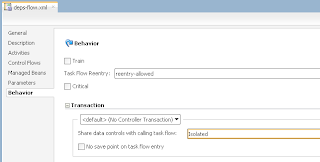 Multitasking is working, but we need to test another aspect - validation handling. 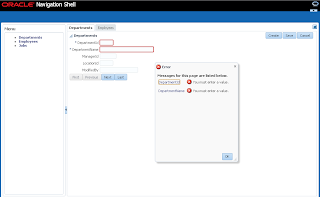 Ideally user should be able to navigate between UI Shell tabs, without being blocked by validation errors. 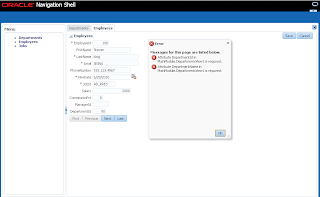 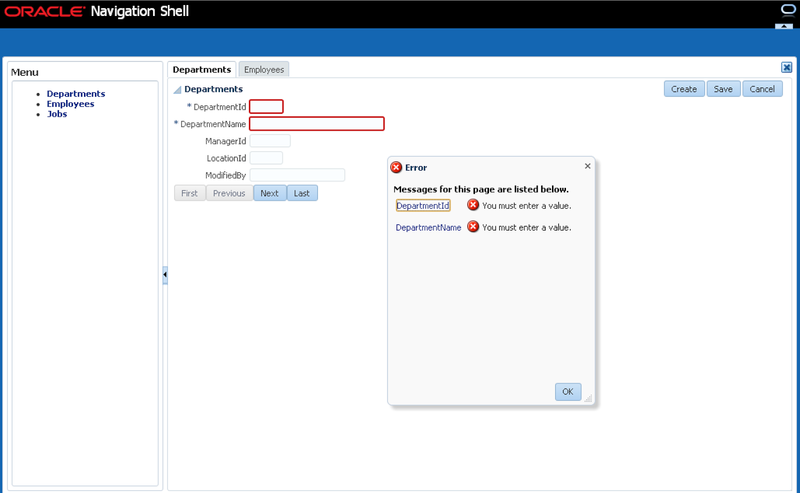 When commiting data in active tab, there should be no validation errors displayed from other UI Shell tab. 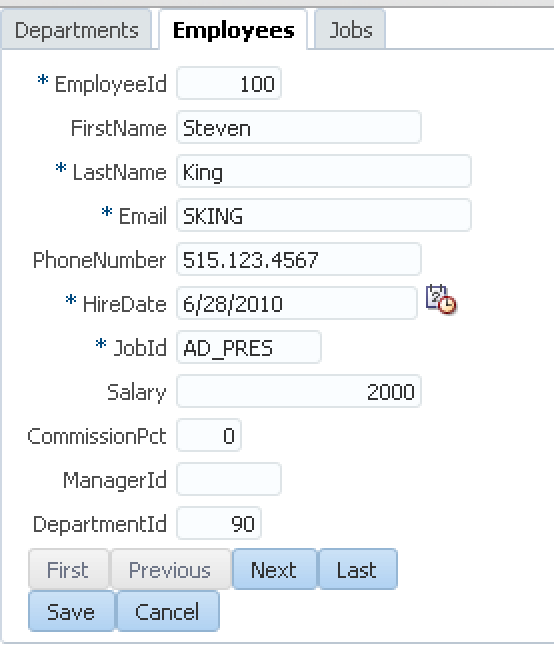 In order to resolve this and allow navigation to the different tab, we need to set Immediate = true property for the tab item. This is UI Shell, you could get source code and modify it. This would require change UI Shell library in your project. 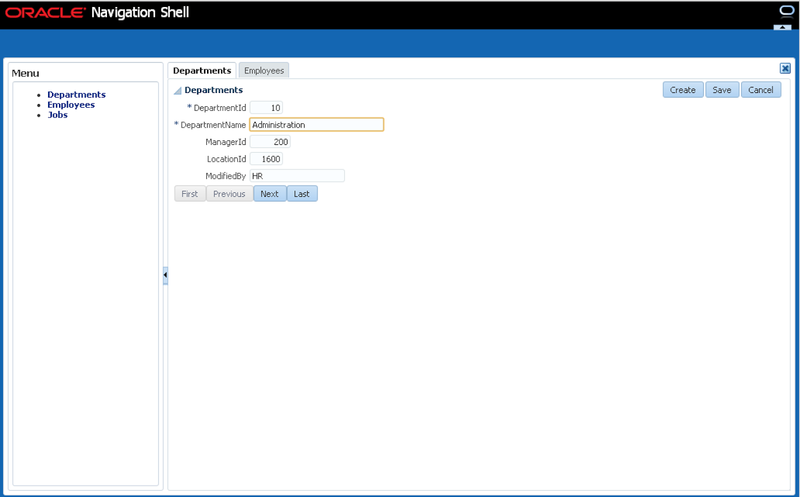 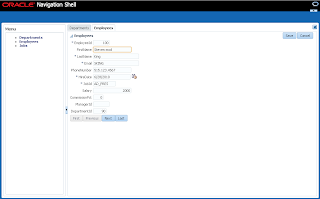 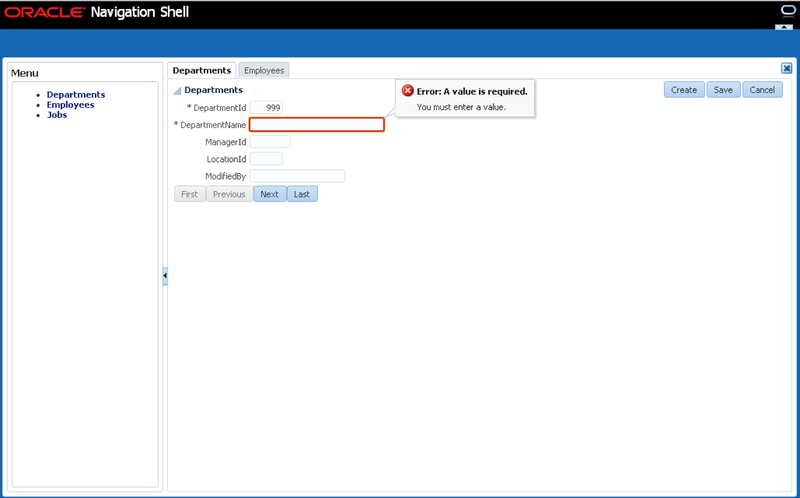 There is another way - use MDS Seeded Customization to modify out of the box UI Shell, this is what I'm using in this sample application. 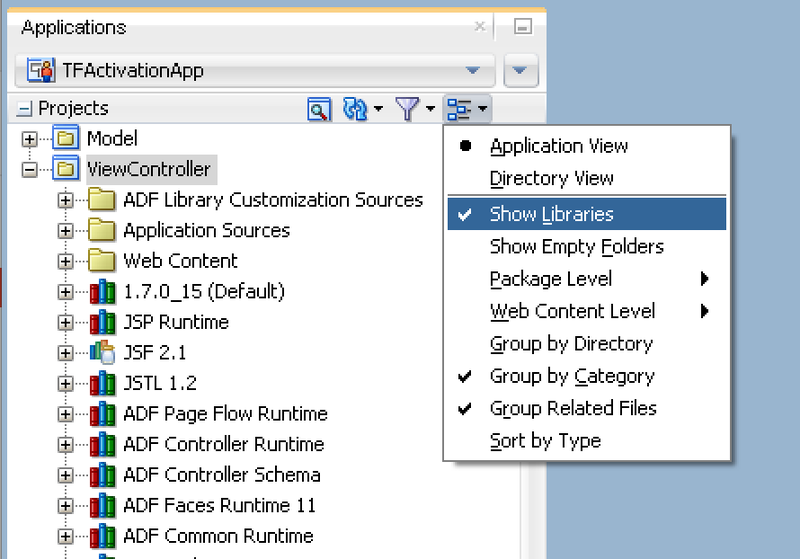 ADF Query Saved Search functionality exists starting from ADF 11g - Persisting Query Criteria Results Across Sessions with Oracle MDS. 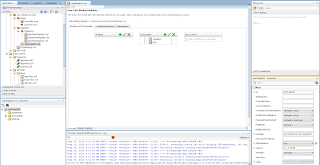 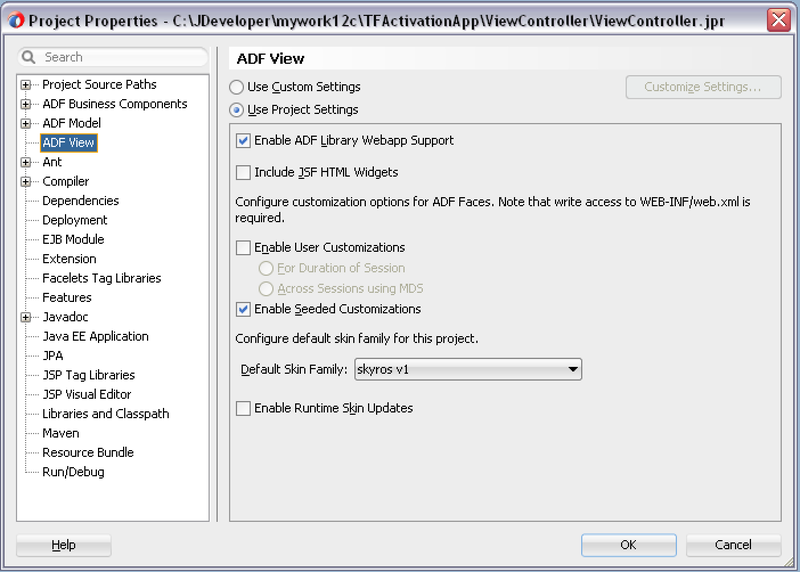 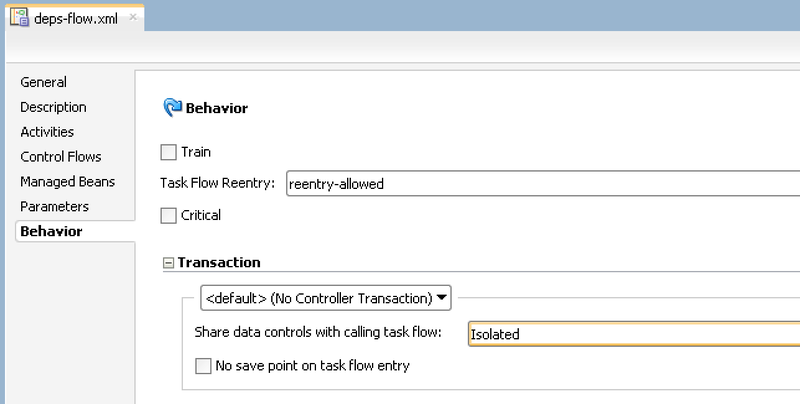 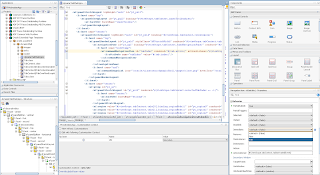 Same works in ADF 12c, and more - from UI point behaviour improved. 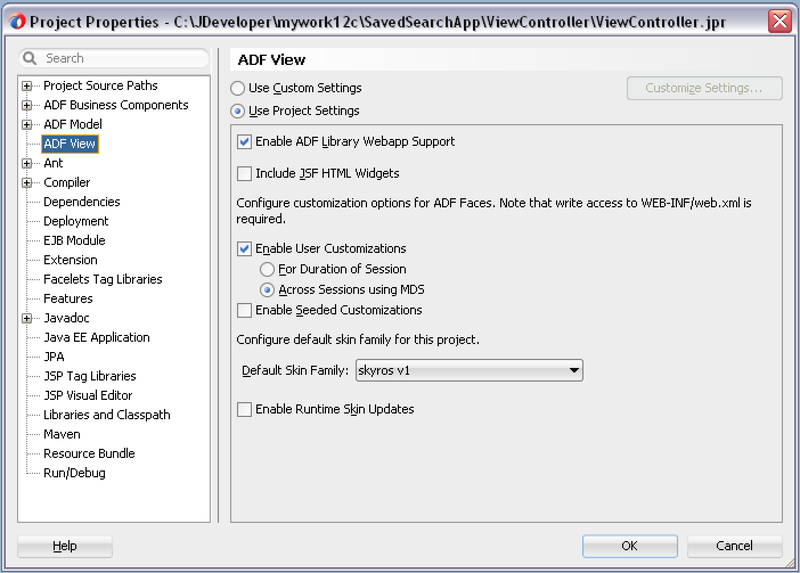 There are nicer and cleaner dialogs prompting user to save search after changes were applied. 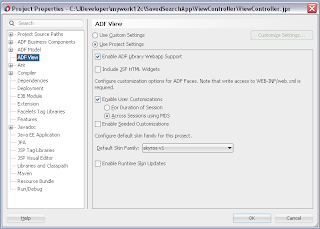 You need to remember few tricks to enable Saved Search functionality, I will list all of them in this post. 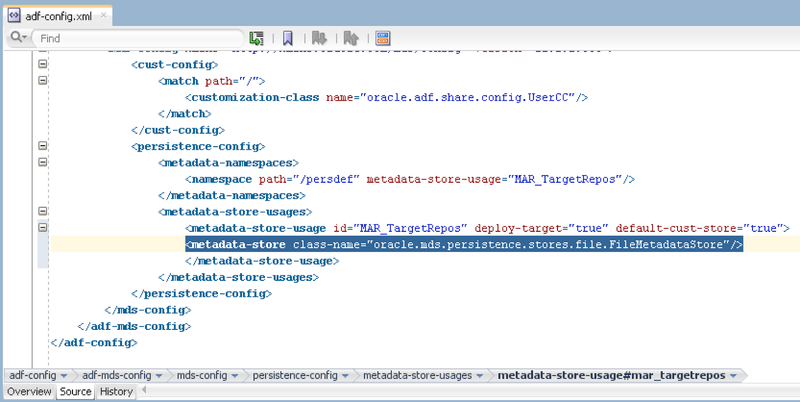 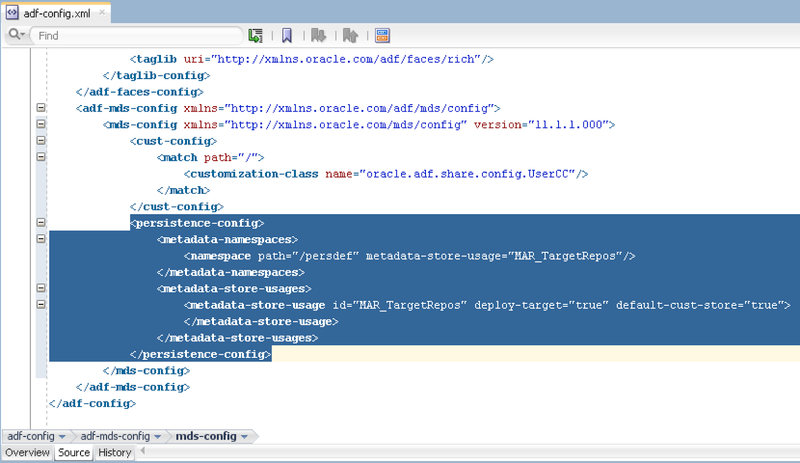 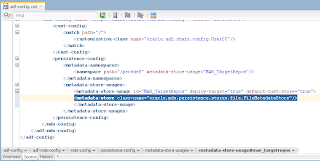 Different class should be used in case when MDS repository is created in DB: oracle.mds.persistence.stores.db.DBMetadataStore. 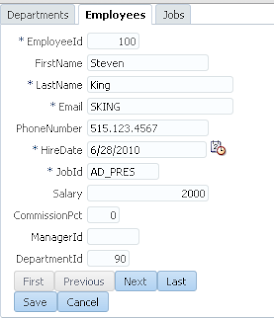 This functionality is very important for the users, as it allows to perform search faster without entering parameters again and again. 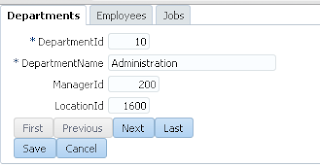 It improves application performance, as search is executed with parameters from the start, limiting results list. 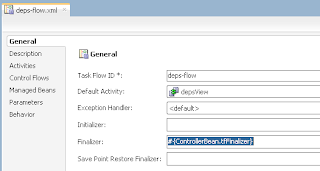 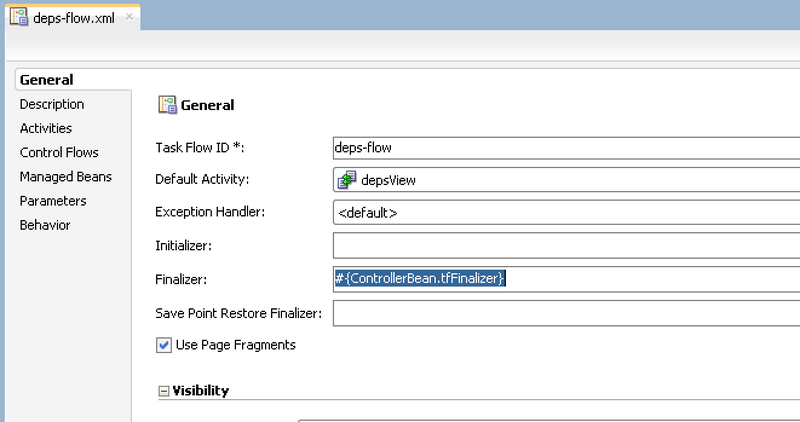 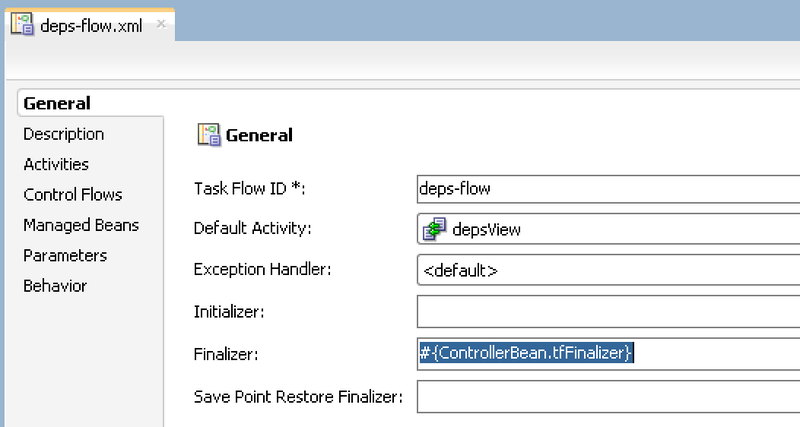 This will be update for my previous post - ADF Task Flow Template Improvements in 12c, describing how to use dynamic actions in ADF task flow template. 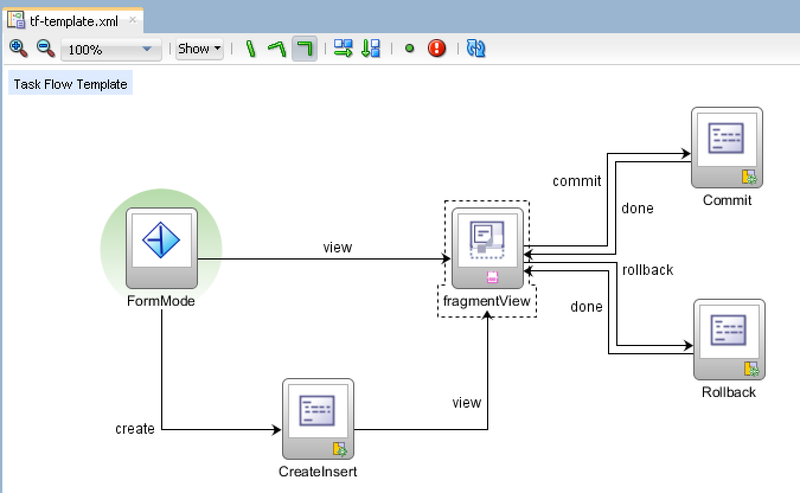 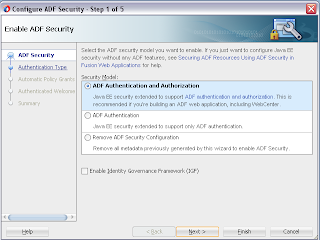 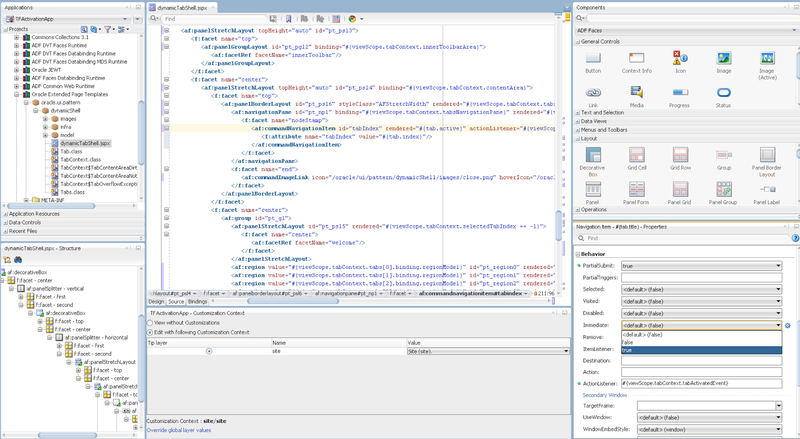 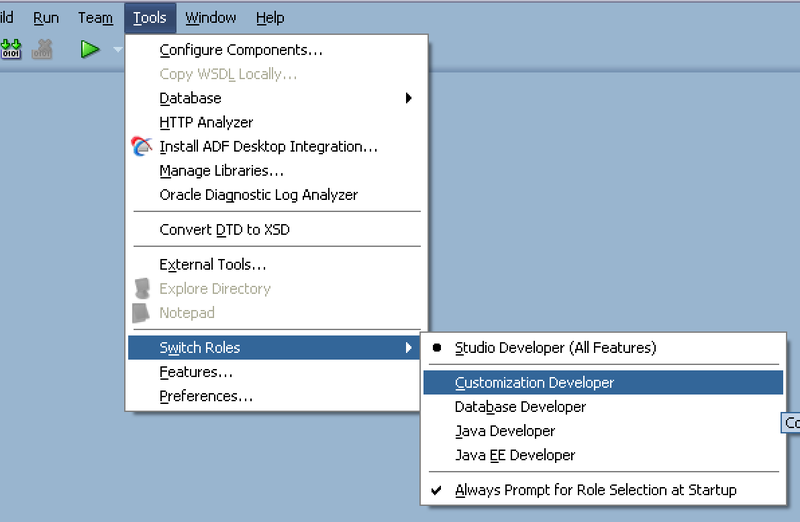 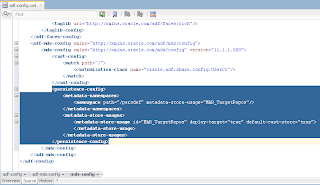 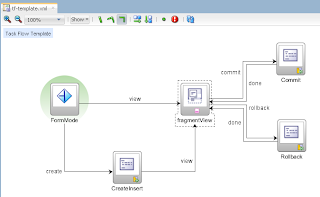 Similar dynamic actions can be applied in ADF 11g, this is not limited only to 12c. 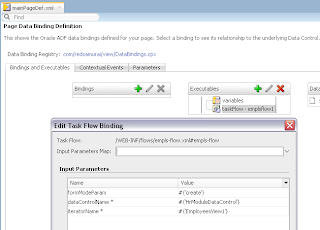 Dynamic actions allow to build completely reusable ADF task flow template and use it for common use cases, without implementing same actions again and again.